Azure Striker Gunvolt has cut off his handsome braid and covered his impressive abdominals to avoid offending the sensibilities of precious westerners. 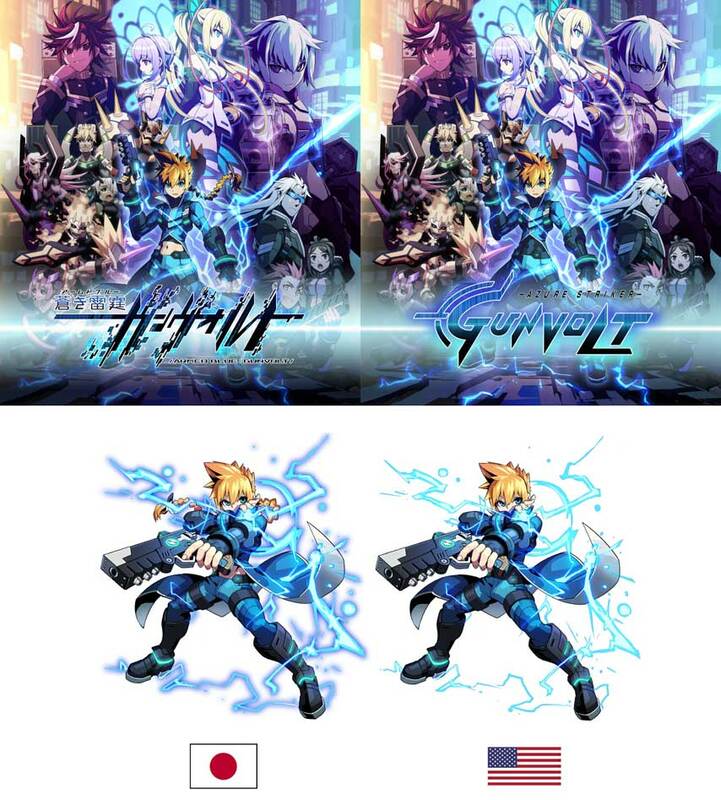 The design change was noted when the Azure Striker Gunvolt English website went live yesterday, with AllGamesBeta posting the comparison image below. Click to see enlarge. The sidescrolling action game was conceived of by Mega Man and Mighty No. 9 creator Keiji Inafune, and is coming to the 3DS eShop thanks to developer Inti Creates. There’s quite a long tradition of game aesthetics being altered for western launch – Kirby gets angry eyes, Mega Man became a weird misshapen cyber soldier, and sometimes ladies get to wear slightly more clothes than previously; this last one usually causes the biggest fuss and the most cries of “censorship”.